Jane Doe created her first website with ABC web design and hired them to not only design the site and add the content but to register a domain name as well. The path of least resistance which made sense at the time. As technologies have advanced and there are more opportunities making it easier for Jane to manage her own website she decided that was the thing to do. But her domain name JaneDoe.com is owned by ABC web design, she doesn’t know where it was registered nor does she have a user name or password to gain access to the domain name control panel. 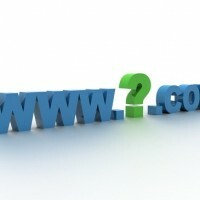 Domain Names and website hosting are two different things. You can have a Domain Name (several in fact) without having website hosting but you can’t have website hosting without a domain name. All domains on the internet have been registered, from google.com to artbiz.ca. 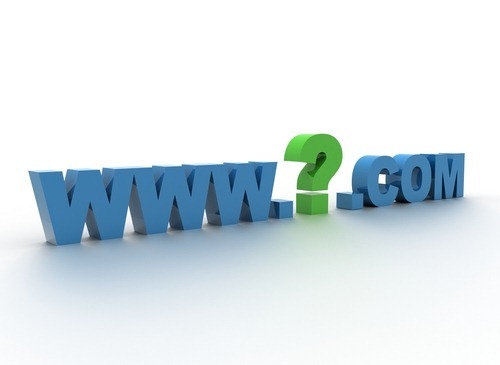 To find out who owns a particular domain, you need to do a WHOIS search. These searches are free, and offered by most registrars. If you are working with a domain outside the Canada, e.g. .co.uk or .com.au or .co.nz, then you need to find a registrar in that country and use their WHOIS search engine. The price of registering an internet domain varies between about CDN $5 and CDN $120 per year. Most places charge about $10 for .com or .ca domains, with a discount for multi-year registrations. (b) losing track of the password that they were given for their domain registration if they were given one at all. These mistakes can cost anywhere from $150 to $15,000 to rectify. In many cases, small businesses are forced to switch to a different address, requiring changes to stationery, all their contacts’ address books, and so on. For all of these reasons, we encourage people to register their own domain rather than have a third-party do it for them. It only takes a few minutes and it is not really that complicated. If you used a third-party to register your domain name and do not have access to the control panel, user name or password you can try to contact them and ask for access. If they are nice they will provide this to you, if they aren’t so nice or give you the run around or are just plain unresponsive it may be worth starting over with a new domain name that you OWN. The most important thing to look for in a domain registrar is a control panel, which lets you login at any time to make adjustments to your name servers (DNS). If you cannot get control of your “name servers”, you might as well not use that registrar at all, at any price. We recommend using netfirms.ca to register your domain name if at all possible. You can unlock your domain and change the name servers (DNS) anytime without having to contact the registrar. With .ca domains you can set the permissions for the registrar to handle the approvals with the CIRA (Canadian Internet Registration Authority) which will save you an extra step. AT the very least register your own domain name and we can do the rest for you. In order to change hosting providers for web or email, you generally need to (re)gain control of your domain and the definition of the name servers which provide DNS. The name servers cause a name, such as www.artbizwebdesign.com, to resolve to an internet address which is a number. Each hosting provider has machines with unique numbers. If you want to move a web site from an old/bad host to a new/groovy host at a new address, you absolutely must be able to control the identity of the name servers. Usually there are at least two name servers used for each domain. The WHOIS record for a domain always reports the identity of the name servers. You should check those and make sure that they are with a company that you trust, either a good registrar, a good hosting company or a good web design firm. Before you transfer an existing domain, you should capture the current DNS records by going to network-tools, putting in your domain name, and retrieving the DNS information. Print that – and/or save the information to a file. You will need it. To transfer a domain, you login to the old/bad/expensive registrar’s web site and UNLOCK the domain. You then go to the new/good/inexpensive registrar’s site and request a transfer of your domain to the new place. A series of emails will be sent by the registrars to confirm that the whole process is legal, and you will need to confirm the transfer. Usually you will also have to pay one year’s fee to the new registrar, and that will extend the life of your domain by a year (so you do not lose any money, you are only pre-paying early). Shipping art to the U.S. and getting it back again. It’s the getting it back that’s the tough part. I had 5 pieces in an exhibition in New York. 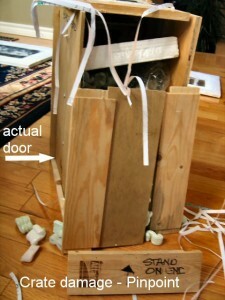 After the show was over and the gallery shipped it back, the work was stopped at the border. Customs would not release it until I paid a brokerage fee. I called Canada Customs and explained that I owned the work but it seems that they don’t have a way to handle this. There was a value placed on the work so there was duty. In the end I was told that the only way to avoid duty is to broker it yourself. 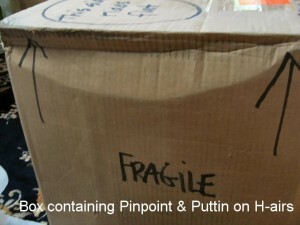 When I shipped the work to New York I used an art shipper. Actually 2 art shippers; one from Calgary to Toronto, then handed off from Toronto to New York. They took care of everything and all the costs were quoted up front. It was expensive (close to $800 for 5 pc’s) but it arrived all very safe and sound. I believe the trouble I had on the return delivery was because the gallery shipped my work FedEx Ground! Why is still beyond me, this was a very reputable gallery who ships work back and forth all across America but not that often across the border. Had they used a bonafide art shipper I don’t believe I would have had the problems I had. 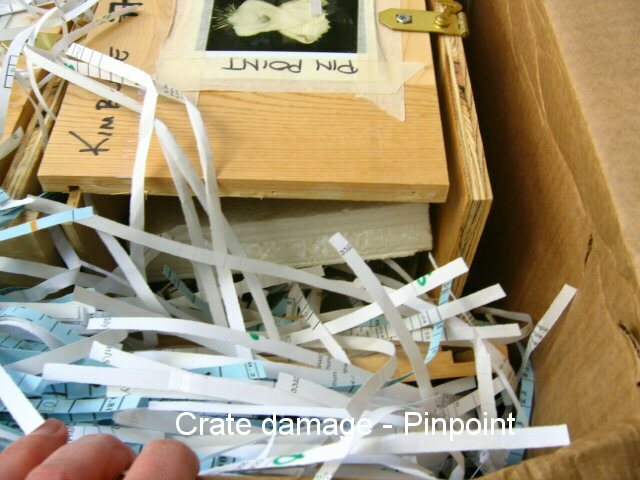 Did I mention that all the work can back DAMAGED! 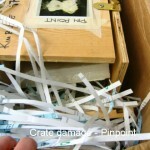 They even managed to break a wood crate. That’s because they shipped via ground and my work was bounced all around the U.S. before it even managed to reach the border. You can imagine how my heart sank when the work finally arrived 2 weeks later. I hear a lot of stories about damaged art and all the artist can do is throw their hands in the air in defeat. I thought that I was going to be one of those but the gallery owner really came through for me. He fought tooth and nail with FedEx and managed to get me a settlement. They also sent me the encaustic that I would need to repair the work, which I was able to do. The typical scenario is that the artist pays to have the work shipped there and the gallery is responsible to incur the cost of the return. 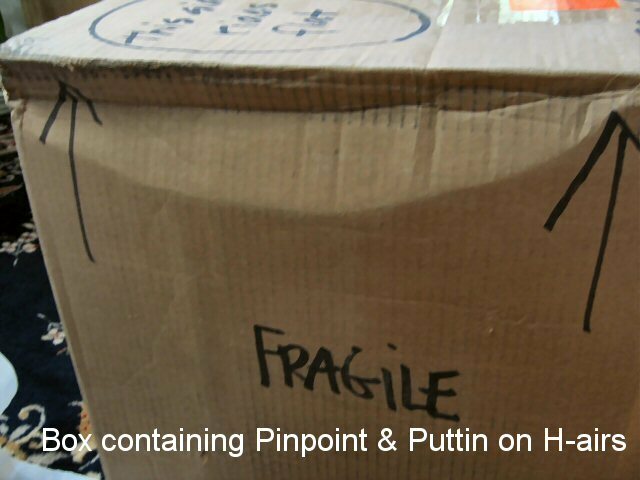 Perhaps it would be prudent to discuss the shipping methods up front before entering into a contract.